In the discourse on symphonic orchestras, problems are prominent: the number of visits is slowly declining, audiences are seen as listening passively, and societal relevance of symphonic music is questioned. A lack of possibilities for ‘participation’ is often put forward as reason for the declines. 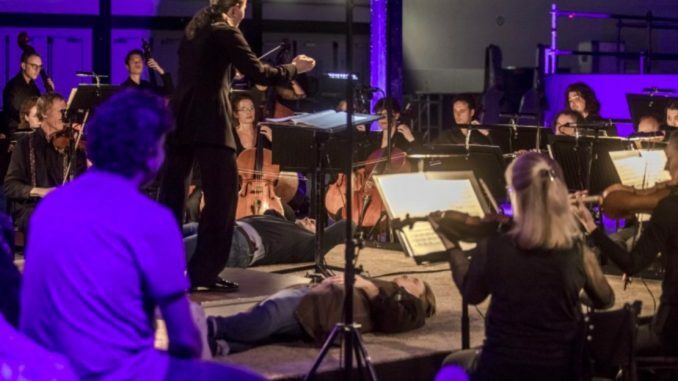 Picking up on this discourse, and pressured by policy measures and budget cuts resulting from the changed evaluation of their status and relevance, orchestras are seeking ways to innovate their traditional ways of performing. In particular, they have started to experiment with how audience members (but increasingly also musicians) are participating in concerts. They are invited to walk round, lay down or sit amongst the orchestra, use apps during the performance, or get the opportunity to have a say in the programming. It is this phenomenon in symphonic music that I investigate in this PhD project. Rather than taking the problems for granted and join orchestras in their search for solutions, I conduct ethnographic research in order to closely examine how four symphonic orchestras in the Netherlands are innovating participation in their everyday practices. In researching these orchestras, I question how participation varies across actors and activities, how the materiality of symphonic music shapes the possibilities for participation, and how new meanings and values emerge when orchestras are innovating participation. Theoretically, I draw upon both science and technology studies and cultural studies to develop an understanding that takes into account both the socio-material contexts of and the aesthetic experiences central to symphonic music. Ultimately, mapping how orchestras innovate participation will lead to a deeper understanding of the work it takes to renegotiate notions of expertise, values as well as organizational and aesthetic criteria in their practices. My PhD research is part of the NWO/SIA-funded project ‘Artful Participation: Doing Artistic Research with Symphonic Music Audiences’ (project number: 314-99-204), which is a collaboration between Maastricht University, Lectoraat Autonomie en Openbaarheid in de Kunsten, Hogeschool Zuyd and philharmonie zuidnederland.